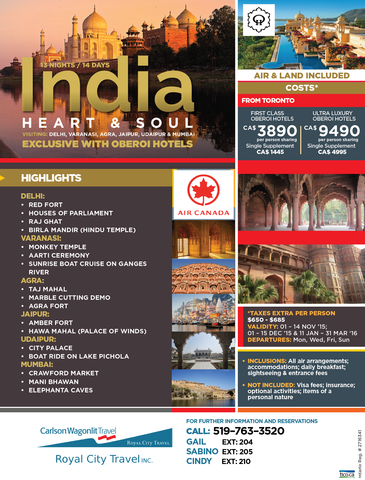 Discover the Heart and Soul of India with our current promotion. What an amazing, fascinating, inspiring place to travel. 13 Nights / 14 Days to discover India visiting: Delhi, Varanasi, Agra, Jaipur, Udaipur & Mumbai. Click the picture to get a downloadable flyer.